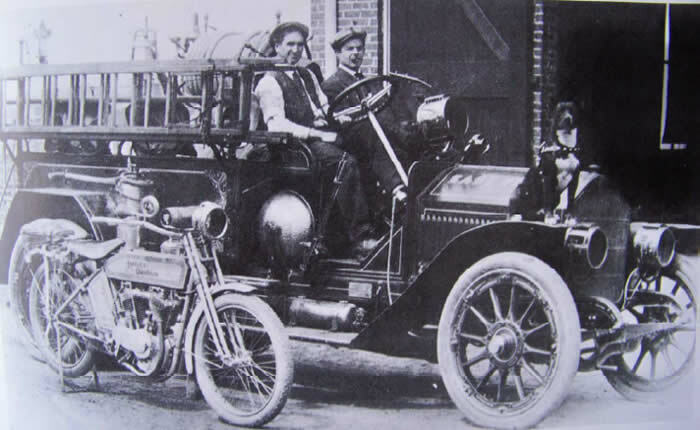 Above: East Point's first fire truck, circa 1910. Driver is Mr. McGrew, the only paid fireman. Note dog sitting on front fender and Harley Davidson motorcycle parked along side. Photo courtesy of East Point Historical Society.